Alexander G. Soros (born 1985) is an American philanthropist. He is Deputy Chair of the Open Society Foundations and one of the World Economic Forum's Young Global Leaders of 2018. Alexander Soros is the son of billionaire George Soros and Susan Weber Soros. He was raised in Katonah, New York and has a younger brother, Gregory. Alex attended King Low Heywood Thomas in Stamford, Connecticut. He graduated from New York University in 2009, and in 2018 graduated with a PhD in History from the University of California, Berkeley. In 2014, Soros contributed an essay to the book God, Faith and Identity from the Ashes: Reflections of Children and Grandchildren of Holocaust Survivors. Soros' writing has appeared in The Guardian, Politico, The Miami Herald, The Sun-Sentinel, and The Forward. Soros established himself as a philanthropist with his first major contribution to the Jewish Funds for Justice. According to a 2011 Wall Street Journal profile, Soros' focus is on "progressive causes that might not have widespread support." Since then, he has joined the board of directors of organizations including Global Witness (as an advisory board member), which campaigns against environmental and human rights abuses associated with the exploitation of natural resources; the Open Society Foundations, which works to establish government accountability and democratic processes internationally; and Bend the Arc (which was formed by the merger of the Progressive Jewish Alliance and Jewish Funds for Justice in 2012). Soros continues to donate to political causes as well. In March 2012 he donated $200,000 to the Jewish Council for Education and Research, the organization behind 2008's "Great Schlep" in support of then-candidate Barack Obama. Alex is a recipient of the 2017 Gordon Parks Foundation Award for his philanthropic support of the Arts & Humanities. In 2012 Soros established the Alexander Soros Foundation, which is dedicated to promoting social justice and human rights. Among the foundation's initial grantees are Bend the Arc, the National Domestic Workers Alliance, which represents the rights of 2.5 million domestic workers in the U.S., and Make the Road New York, which builds the power of Latino and working class communities to achieve dignity and justice. 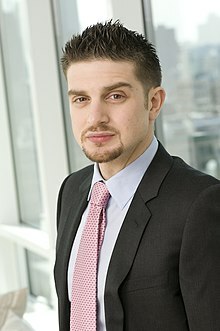 Alongside the Ford Foundation and the Open Society Foundations, the Alexander Soros Foundation funded the first-ever national statistical study of domestic workers ("Home Economics: The Invisible and Unregulated World of Domestic Work," released November 26, 2012). In July 2012, the Alexander Soros Foundation presented its inaugural ASF Award for Environmental and Human Rights Activism to Liberian activist Silas Siakor. In 2013, the prize went to Chut Wutty, the Cambodian activist who died defending the Prey Lang forest. In 2014, the prize was awarded posthumously to Edwin Chota, Jorge Ríos Pérez, Leoncio Quincima Meléndez and Francisco Pinedo—a group of indigenous leaders from Peru who were murdered because of their work trying to end illegal logging in their community in Peru's rain forest. In 2015, the prize went to Alphonse Muhindo Valivambene and Bantu Lukambo for their dedication to defending Virunga National Park against corrupt interests attempting to open the park to illegal oil drilling and poaching. In 2016, the prize went to Paul Pavol, a villager from Papua New Guinea who is speaking out against the appropriation of rainforest in his home district of Pomio by Malaysian logging conglomerate Rimbunan Hijau. In 2017, Antônia Melo Da Silva, a longtime Brazilian environmental activist, received the Alexander Soros Foundation Award for Environmental and Human Rights Activism for her inspiring role leading campaigns to stop the construction of the Belo Monte Dam and other harmful infrastructure projects in the Amazon rainforest. Soros has homes in North Berkeley, Lower Manhattan and South Kensington, London. ^ a b c d Williams, Alex (July 18, 2012). "Making Good on the Family Name". New York Times. Retrieved 6 February 2015. ^ Melanie Grayce West (16 September 2011). "Younger Soros Tries to Learn From Father's Giving". WSJ. ^ Pullella, Philip (December 9, 2014). "Holocaust survivors' descendants help keep memory alive in new book". Reuters. Retrieved 6 February 2015. ^ a b Melanie Grayce West (September 16, 2011). "Younger Soros Tries to Learn From Father's Giving". The Wall Street Journal. Retrieved September 16, 2011. ^ "Bend the Arc – A Jewish Partnership for Justice". bendthearc.us. ^ Josh Nathan-Kazis (April 23, 2012). "Soros Next Generation Steps Up". The Jewish Daily Forward. Retrieved April 23, 2012. ^ Heather Joslyn (April 5, 2012). "Soros Philanthropy: the Next Generation". The Chronicle of Philanthropy. ^ Steven Greenhouse (November 26, 2012). "A Study of Home Help Finds Low Worker Pay". New York Times. Retrieved November 29, 2012. ^ Wade C.L. Williams (July 20, 2012). "Working for Environment: Liberia's Silas Siakor Wins Human Rights Award". FrontPage Africa. Retrieved July 23, 2012. ^ Hodal, Kate (October 2, 2013). "Cambodia: Chut Wutty's legacy creates an opportunity for land justice". The Guardian. Retrieved 6 February 2015. ^ "In Peru, a Fight Over Land Rights". New York Times. November 27, 2014. Retrieved 6 February 2015. ^ Danielle Stein Chizzik. "Sexiest Bachelors 2013 Photos – Pictures of Top 40 Bachelors". Town & Country Magazine.